Cartoonists Rights Network International (CRNI) was among those chosen for the 2019 Freedom of Expression Awards. Index on Censorship is a nonprofit that annually offers the awards to groups and individuals who fight censorship around the world. Honorees are granted entrance to Index on Censorship’s Fellowship program, which offers priceless training and support for their continued efforts. There are four categories – Arts, Campaigning, Digital Activism, and Journalism – and winners are chosen from public nominations whittled down to a shortlist of 16. CRNI was honored for their work campaigning, other winners include Zehra Doğan, Fundación Karisma, and Mimi Mefo. CRNI might be a small nonprofit, but they have a loud voice. Charged with monitoring harassment, abuse, and threats to editorial cartoonists around the world, they operate as the first line of defense for political cartoonists in constant fear for their safety, freedom, and life. 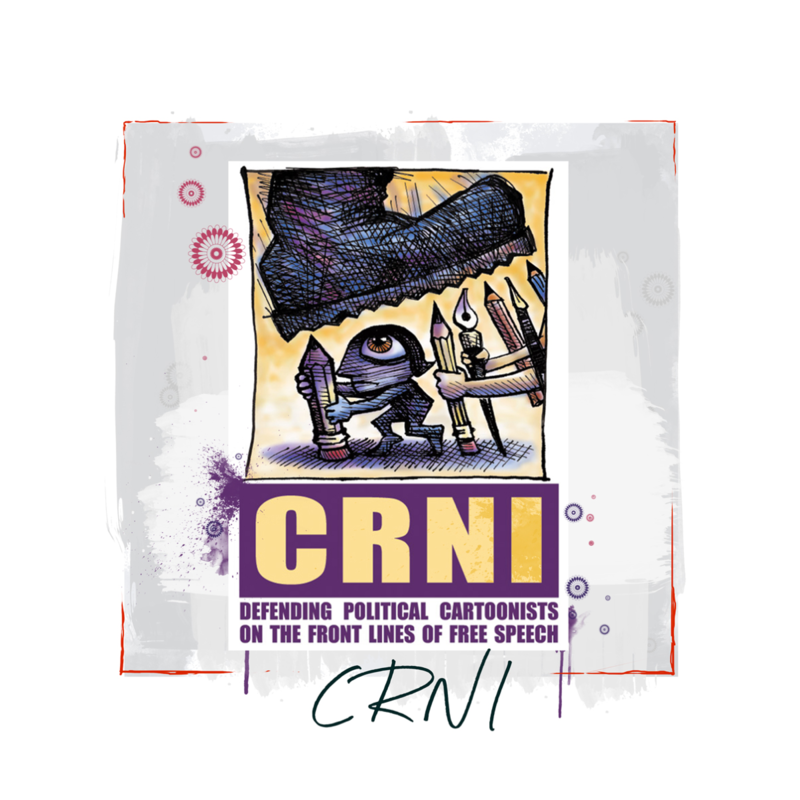 CRNI is the first to sound the alarm when a cartoonist is persecuted, and utilize a network of nonprofits to help raise awareness, funds, and hope for the creator under threat. CBLDF wrote extensively about the graphic novelist Ramón Nsé Esono Ebalé who was imprisoned in his home country of Equatorial Guinea on false counterfeiting charges because his work was critical of the president and government of EG. CRNI’s involvement was crucial to awareness of the situation, and Ebalè’s eventual release. 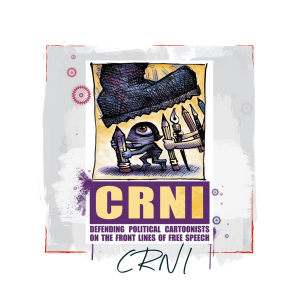 CRNI has helped many other cartoonists including Eaten Fish, Zunar, Jake Thrasher, and countless more. They created the annual Courage in Editorial Cartooning Award, which helps cartoonists under threat increase their visibility, and that in turn creates a safer environment for them to work in because without visibility it is too easy for governments to silence critics. Those of us concerned with freedom of expression care about cartoonists because we are a societal safety-valve, expressing dissatisfaction about all the injustices and irritants of the world bluntly yet harmlessly, communicating an idea that is consumed in a matter of seconds. This immediacy gives cartoons their sensation of impudence. They are opinion pieces, not reportage. Nonetheless humour falls flat without veracity. Thus we look to cartoonists not for nuanced analysis of policy but to reveal deeper truths and it is for this reason that those in power have cause to fear them. Like virtually no other profession the cartoonist makes it their business to remind the citizenry that the emperor is naked. If they are not safe to say so, we are all diminished. 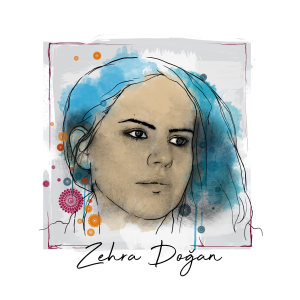 Artist and journalist Zehra Doğan, who was released from prison this past February after having spent two years in jail for painting something the Turkish government didn’t like, is another Freedom of Expression Award winner and fellowship recipient. While jailed, Doğan refused to stop reporting on the injustices she saw or painting, even though she was given no access to art supplies. Instead, she created works from mashed berries, plants, and even blood, using anything she could find for canvas. She also spoke up about human rights violations she saw in prison, and the female political prisoners she met. Doğan received some mainstream news attention when Banksy made her the subject of a New York City mural. The winner for Digital Activism was Fundación Karisma, a Columbia civil society organization that tackles the problem of online trolls with a sense of humor. Utilizing ‘stamps’ they flag abusive posts, draw attention to the increasing harassment of women online in Columbia and tackle the chilling effect it has. They also created a digital campaign titled “Sharing is not a crime” to support open access to information despite the restrictive copywriter legislation Columbia utilizes to maintain strict control. 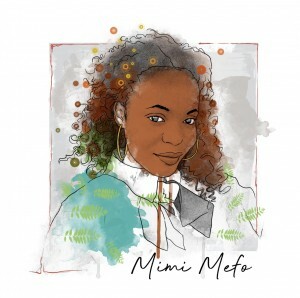 Mimi Mefo is the final winner and fellowship recipient. Mefo is an award-winning broadcast journalist working in Cameroon, who was arrested in 2018 following a report about the military being responsible for the death of an American missionary. Mefo bravely calls out harassment of other journalists in Cameroon, including public calls for the release of those unjustly jailed as she was. We here at Comic Book Legal Defense Fund congratulate all those at Cartoonists Rights Network International and all the other winners on this momentous achievement, and eagerly await the great things that will come from this fellowship and these free expression champions in the future.